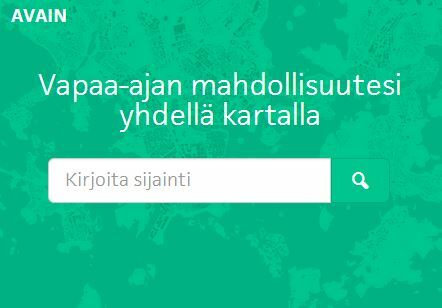 PerheenKaupunki (tr. 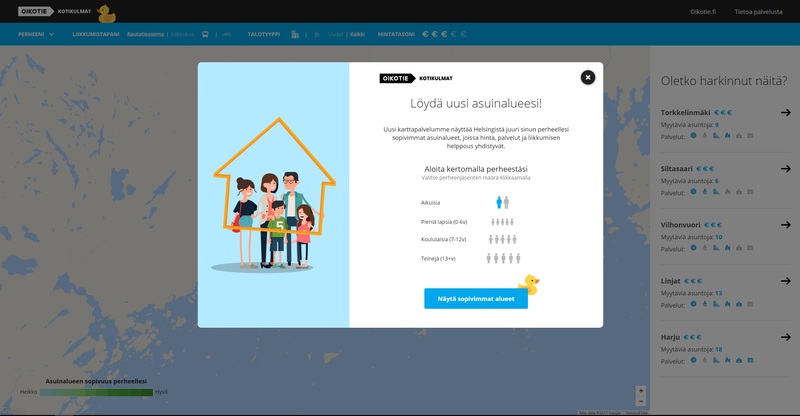 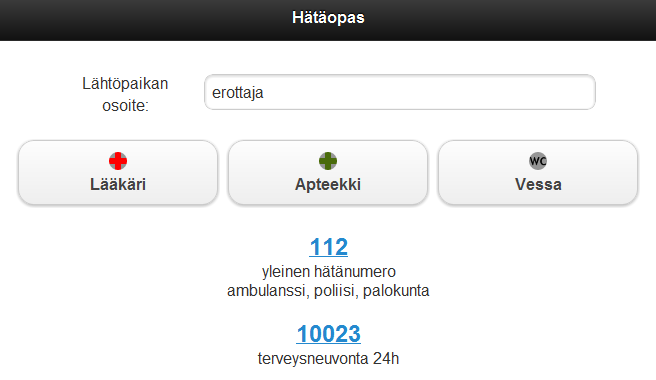 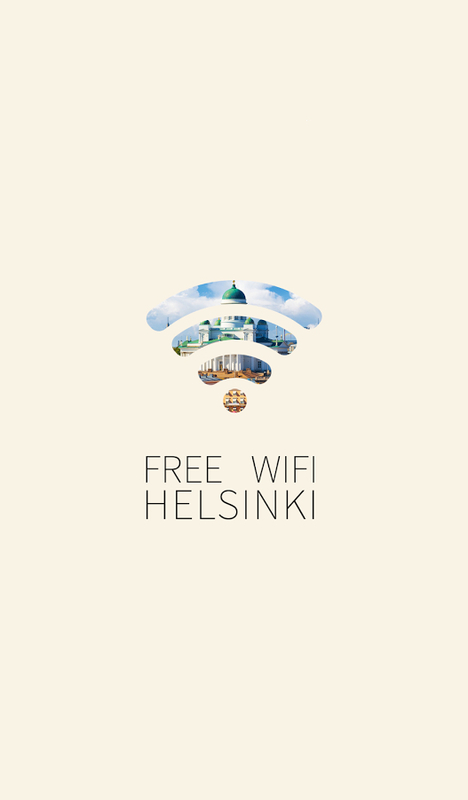 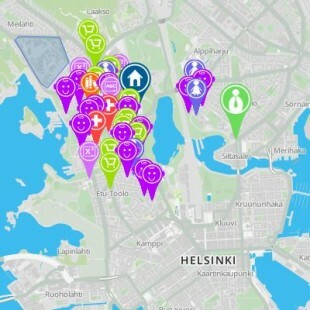 Family's City) is a website that gathers family-friendly places, services, and events in the Helsinki Metropolitan area. 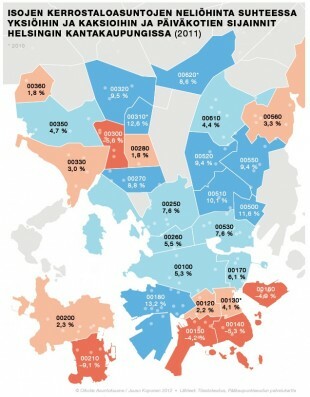 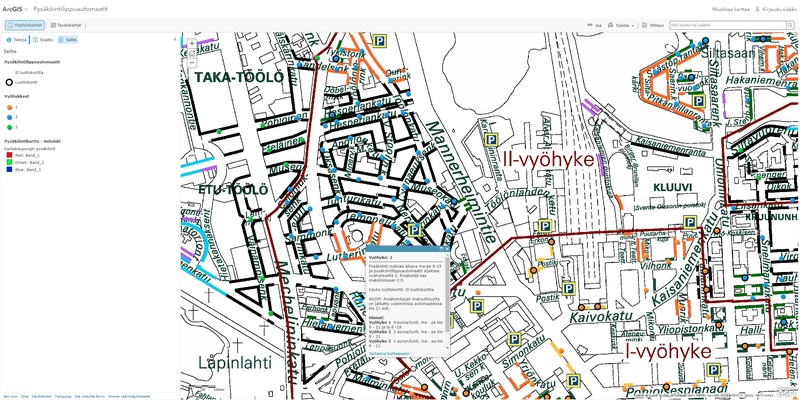 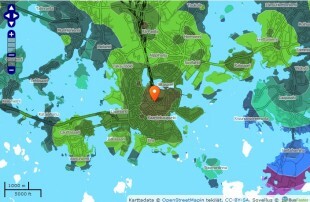 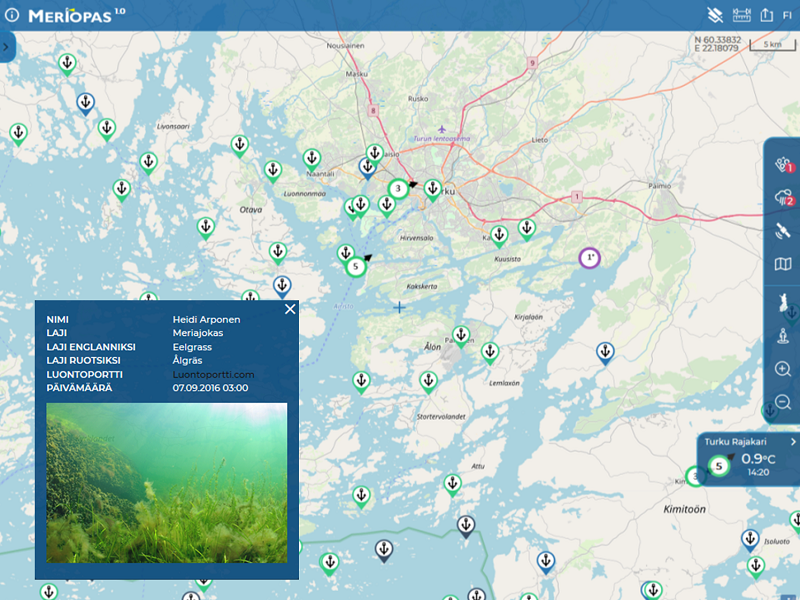 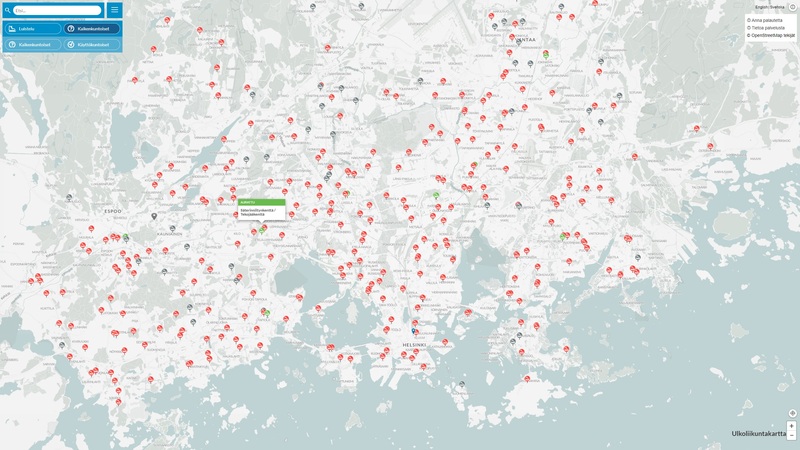 A map visualization that portrays Kannelmäki - and other areas of Helsinki by combining various open data sources. 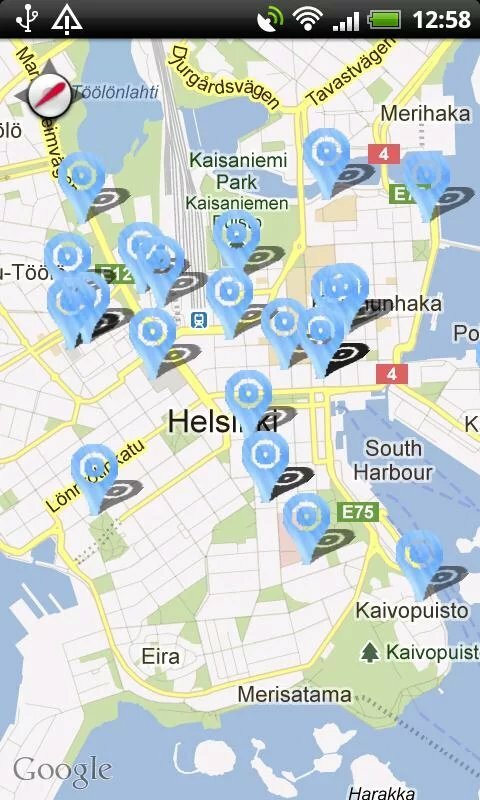 The visualization displays all parking meters operated by the City of Helsinki. 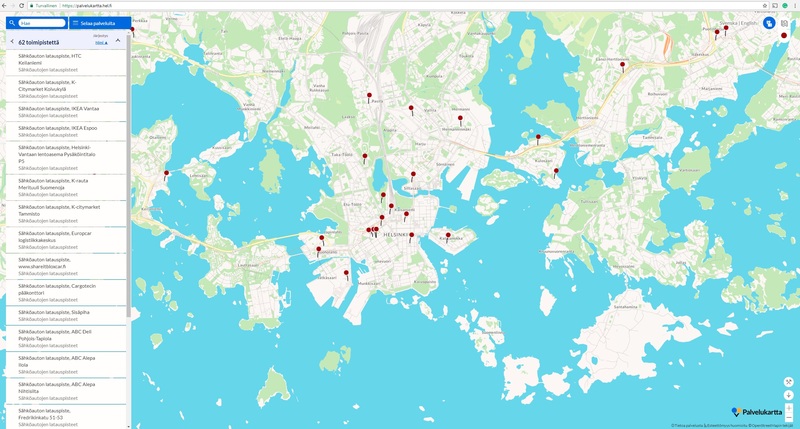 Every parking meter contains details about the payment zone, maximum parking time for the specific zone, as well as if credit cards are accepted as a payment method. 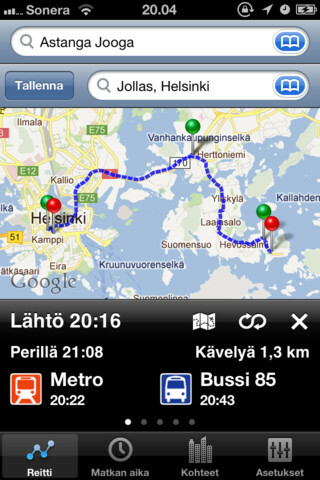 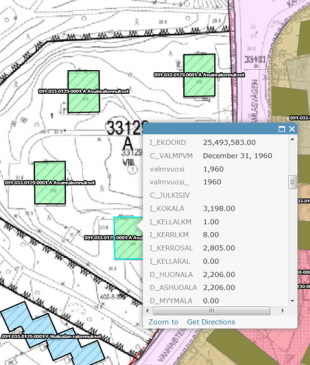 This application is a different take on the Helsinki Metropolitan Area Service Map. 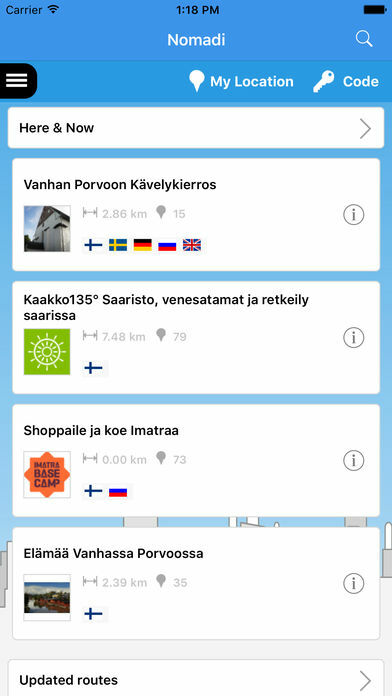 This app includes a simple drop-down navigation menu, from which services can be chosen from. 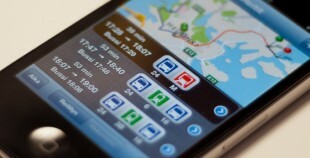 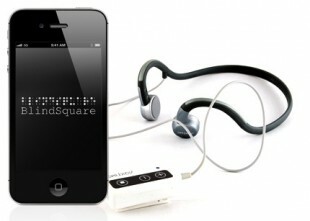 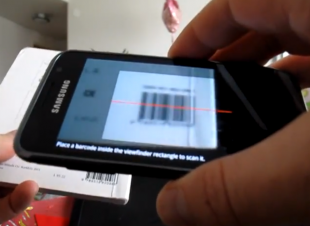 The app uses the user's browser location. 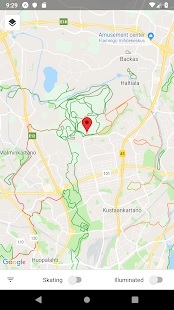 Hiihtämään shows cross-country skiing track data for the Greater Helsinki area on the map. 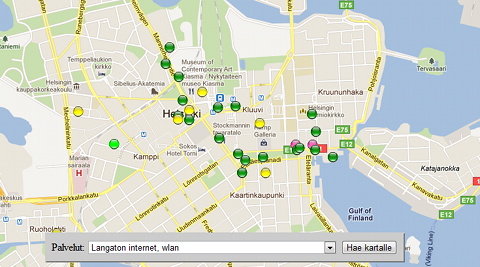 The information is based on current data by the City of Helsinki. 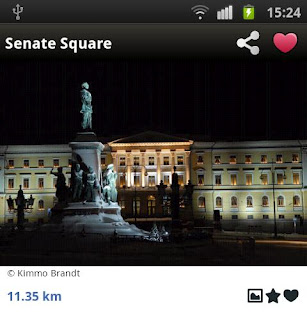 You can filter skate tracks and illuminated tracks.